Sometimes, while connecting with SQL Server, it is experienced that the database is marked as SUSPECT. This happens as a result of primary file group corruption due to which at the time of start up the database cannot be recovered. 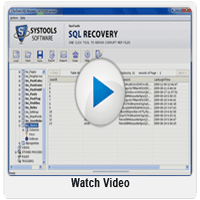 Restore SQL Server 2005 MDF file with the intellect creation by our organization available as SQL Recovery software. Integrated with commendable attributes and fail-resistant algorithms at the backend, the software enable users retrieve SQL database and its components effectively. Framed up with simplest interface, the software helps in execution of flawless database recovery of SQL Server. Software Features that Makes Advanced SQL Server Database Restore Possible! The software to restore SQL Server database and is built up with the potential to recover primary (stored in MDF file) as well as secondary database (Stored in NDF file) of SQL Server. 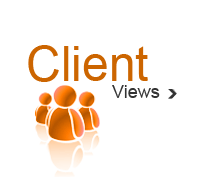 The software specializes in recovery of SQL components that include views, stored procedures, triggers, tables etc. The software to restore SQL Server 2005 MDF file after recovery provides the choice to save database on SQL Server or as SQL scripts. The restore NDF database software helps to save the recovery resultant in a systematic order for which option to save tables, views and triggers with schema. Positive Attribute: The restore NDF database software restore and recover Windows as well as SQL Server authenticated database. While the password and username is needed to be entered when the database is Windows authenticated, our solution to restore SQL Server 2005 MDF file automatically enters the database name so for users’ ease. Download Restore NDF Database Freeware: Analyzing the potential of the software is free. Download trial version of our tool to restore SQL MDF files, that will provides the facility to operate the solution and let them preview the recovered database. For saving the resultant, invest in comprehensively operable edition of the tool.